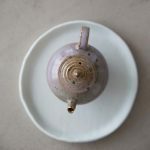 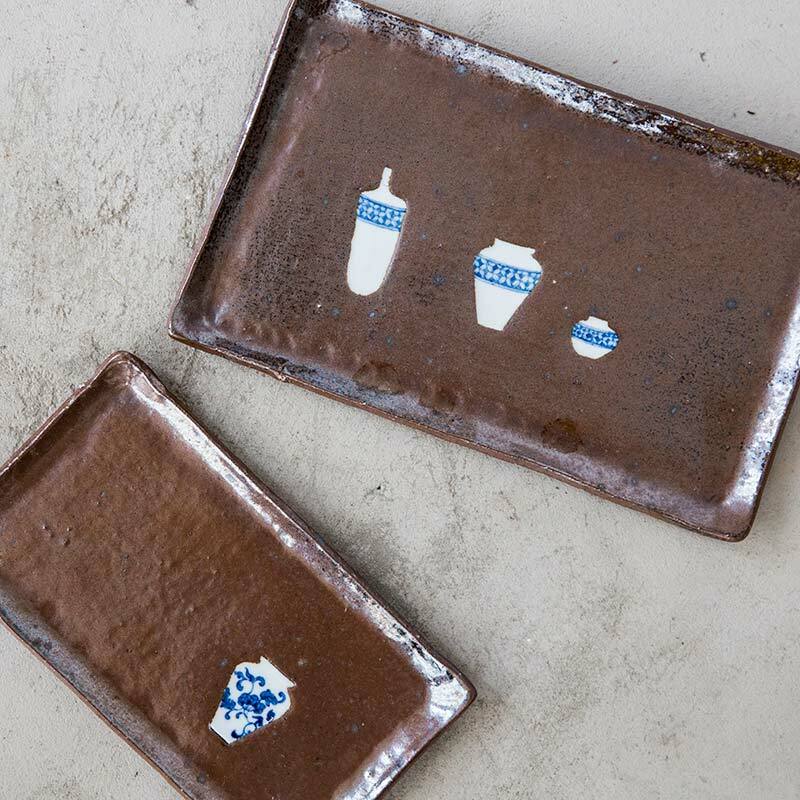 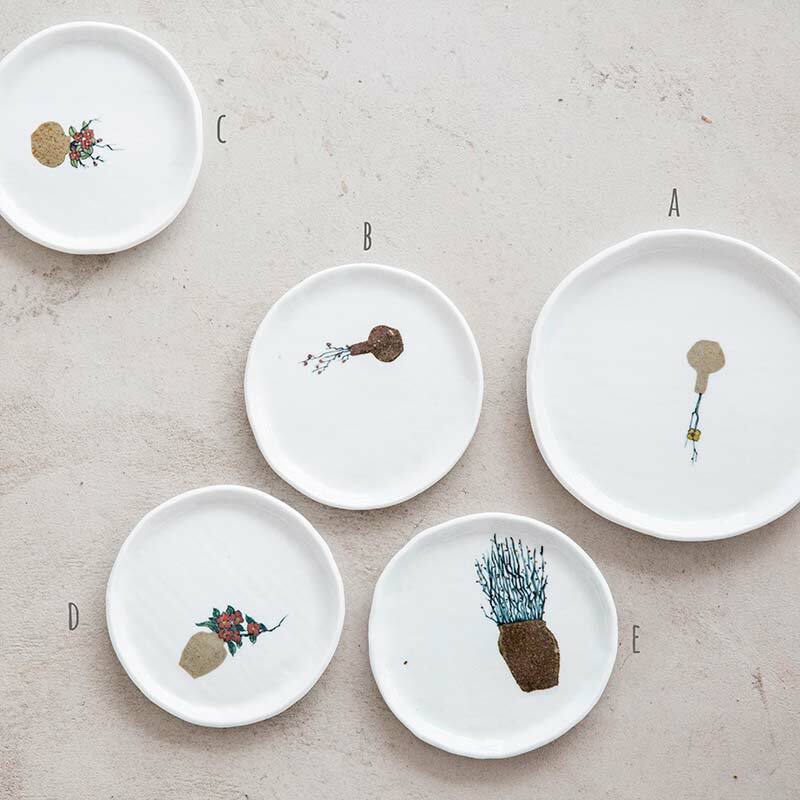 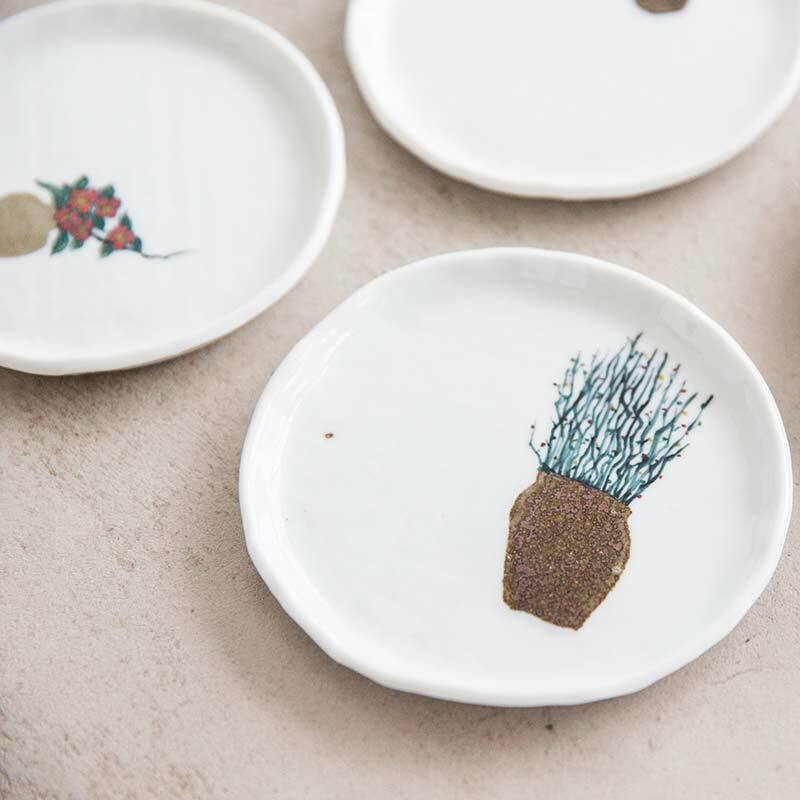 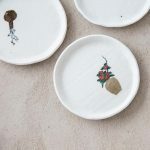 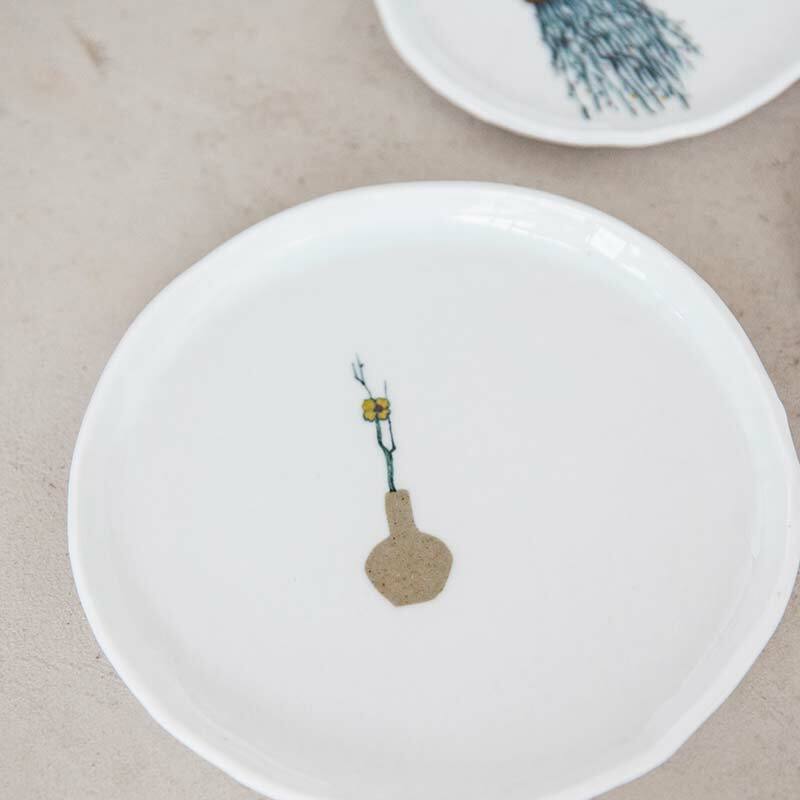 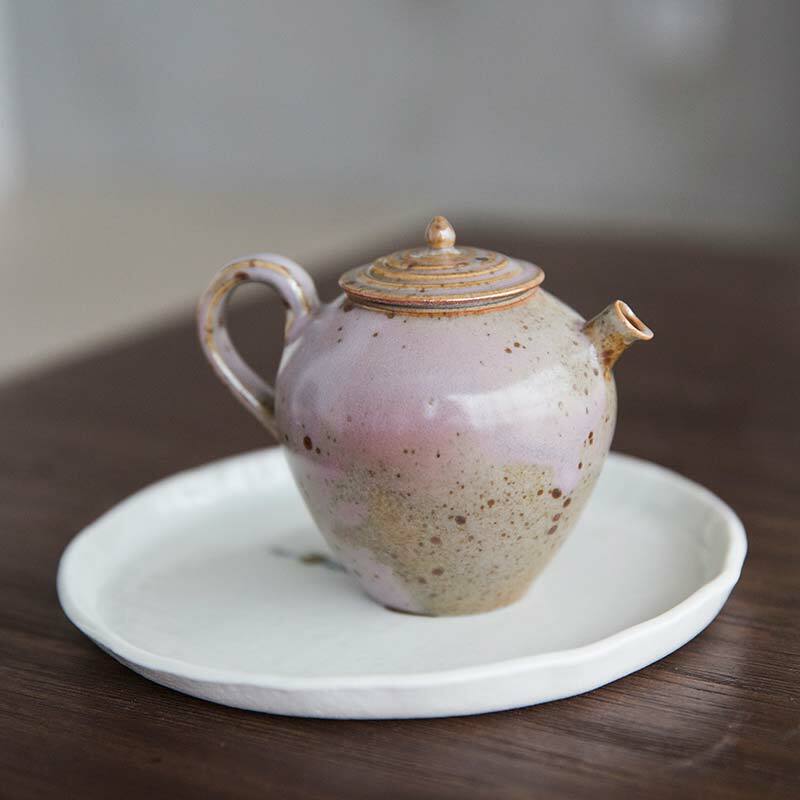 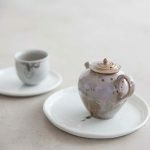 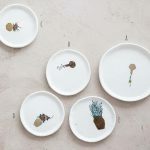 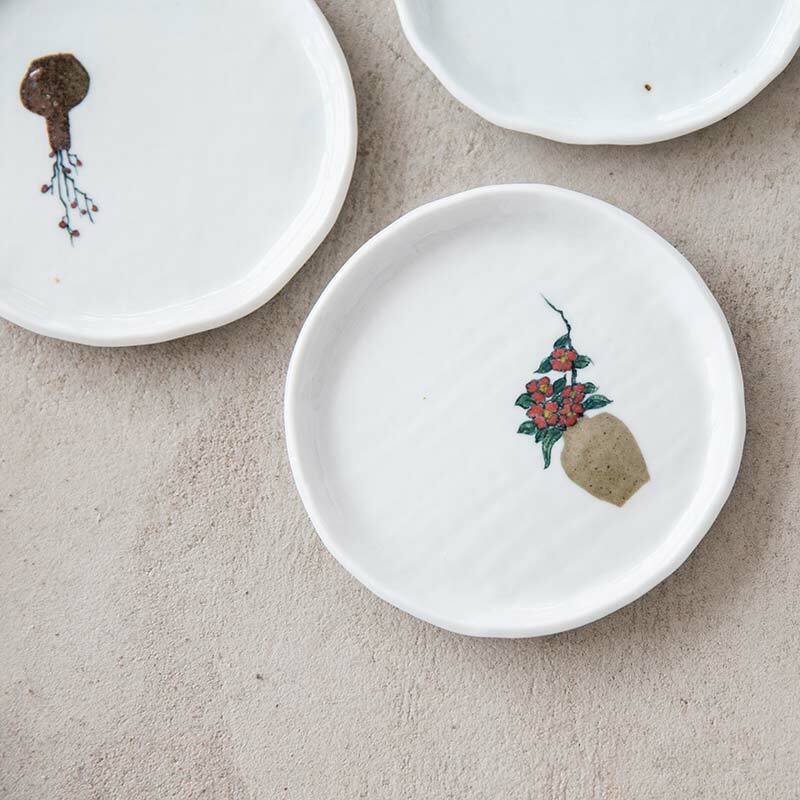 Each of these plates are handmade in Jingdezhen and feature recycled fragrments from broken ceramic pieces inlaid directly into the surface. 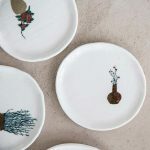 Some of them are also embellished with hand painting. These plates are well suited for “dry pour” style gong fu brewing, providing a place to rest your gaiwan/teapot/gong dao bei/beer… well, maybe not the last one. While each plate features a unique design, the smaller white plates (B through E) measure approximately 12.5cm in diameter, while the larger white plate has a diameter of 16cm. 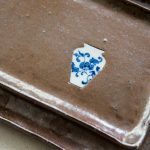 There are 2 rectangular plates available – a larger 3 vase design that measures 27 x 17cm and a smaller single vase design measuring 22 x 12cm.